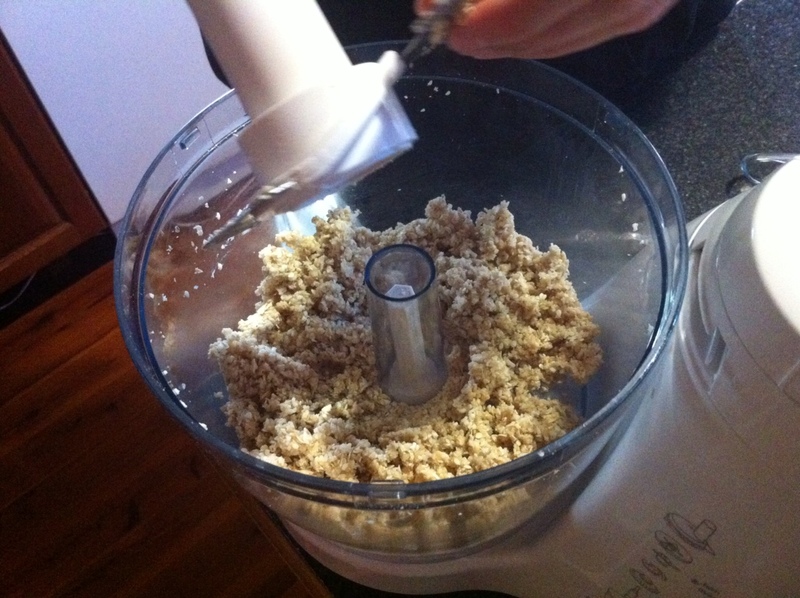 In a food processor, combine almond meal, coconut, sesame seeds, and oats until chopped finely. Add in the salt, liquid sweetener and vanilla extract. When the texture starts to clump up you are done processing. The 'dough' mixture was difficult for us to roll into cookies by hand so we placed it firmly into a storage container. We lined the bottom of the container with baking paper. We placed the mixture inside and pressed down firmly until it was level in height. We used baking paper on top as well since the doughy mixture was so sticky and hard to work with. After that we cut the dough into bite size squares. Place in the fridge for an hour and enjoy!